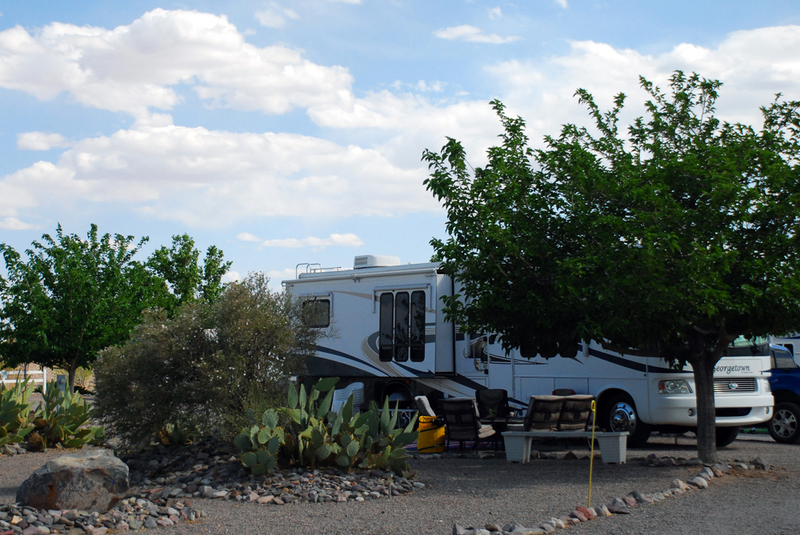 Elephant Butte Lake RV Resort features paved roads, beautifully landscaped sites and level gravel sites. Our Premium Back-In Sites are large paved sites with picnic tables, and are great for the largest of rigs! All sites feature 50/30/20 amp, sewer, and water. You can access local tv channels with your antenna. For stays three (3) nights or longer, we offer tv cable boxes to be used in your rig. Pull-through sites: 13 pull through sites of various sites. Garden pull through sites feature beautiful desert landscaping. Sites are 45 and 60 feet long and in different site widths. Each site has a picnic table. WHEN YOU MAKE YOUR RESERVATION, WE DO NOT GUARANTEE YOU A SPECIFIC SITE!